More 2D Photos at Facebook. Variable colored lighting is an addon. Hi, how much ang rent sa venue alone? Included naba ang sound system? We recommend one of our buffet packages. Hi. Good day! May I ask if available pa ba inyo function hall this coming Dec. 12??? And if available pa unsaon pag book then ang payment pud? How much is the rental of the venue? Hmm 5-6 hours. We have our own catering. So ,just the function room only. Thanks! We would like to know how the payments is being process. Is it bulk payment or staggard payment? Can I ask for more details about your wedding inclusions if possible. 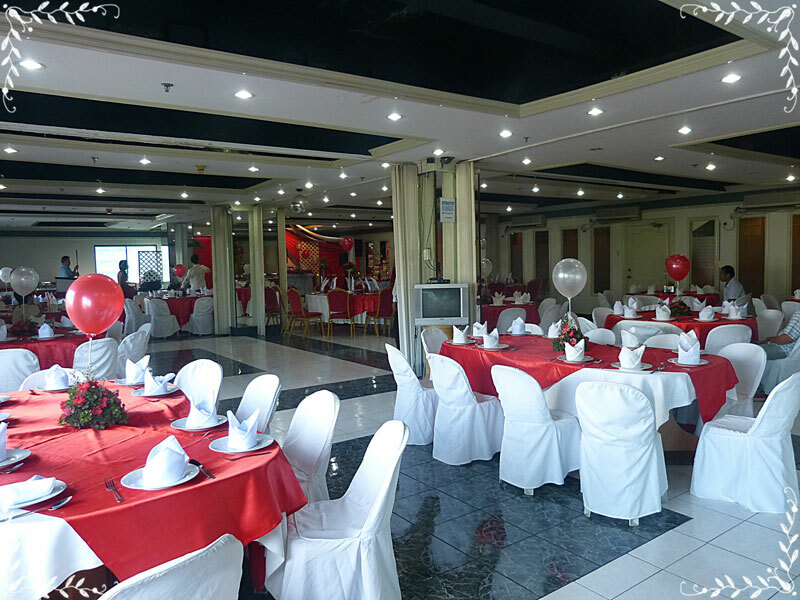 How much inyong function room for 60pax? Please send details for your menu. Thank you. Hi. Can you accommodate 200 pax? How much is the venue rental? This is for wedding event.Thanks. Will wait for your reply. Hi, how much is the rental of the venue only? And we have our own catering, is it okay? Thanks! How much is the venue rental only? 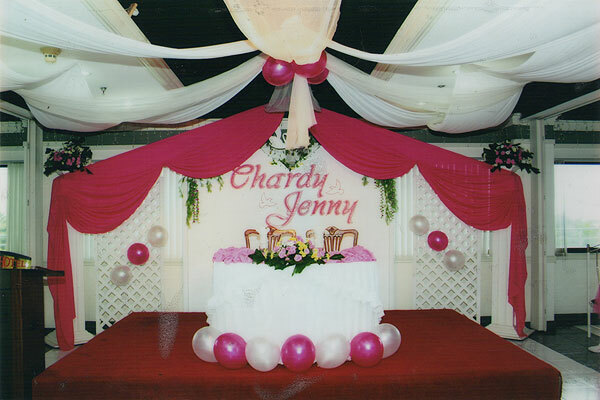 Hi, how much would it cost to rent the function hall only? How much is the venue & what are the inclusions?? If mu avail mi sa per head ninyu nga foods Kai free use na ba Ang function rooms??? Good day how much is the rent only for venue? Hello, pwede po mu ask if how much ang venue alone for 100 pax and 150 pax? By july 28, 2018 @ around 10 a.m. and how many hours ang covered? Hi gd am, ask lang ko pila ang rental for venue, debut 100 guest… July 8 2018. Good day! 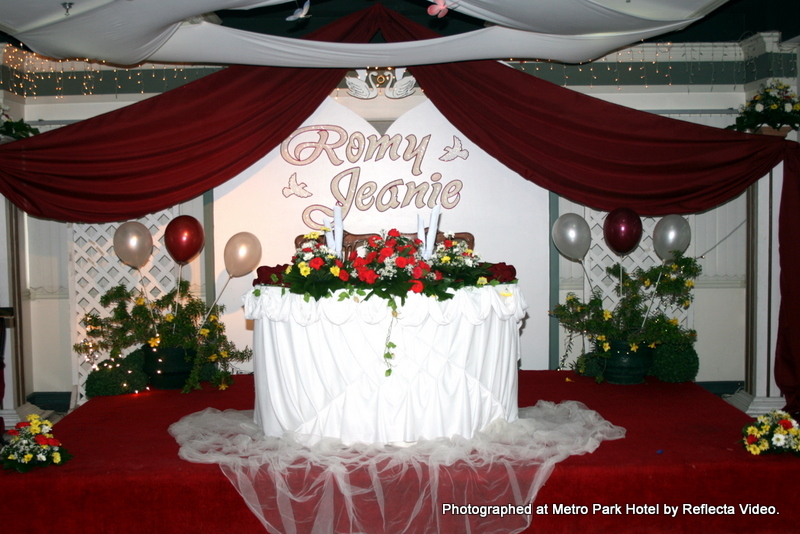 Wanted to inquire on your Function Room rates. Wil be holding an event on the 27th, around 60 to 80 persons for 4-5 hours. Simple Setup – Please check your email. Hello how much per head for an event with 150 people for 4 hrs? Hello! Can you please give me a qoutation for wedding package? For 50 pax? Please include also the inclusions. Thanks. Still thinking about the date. Just please send it to me via email. Thank you so much! Hello there pwede ba mg advance booking let say december pa ang wedding pero wala pay fix date pero fix na ang month. hi , how much is the venue ? Hi. 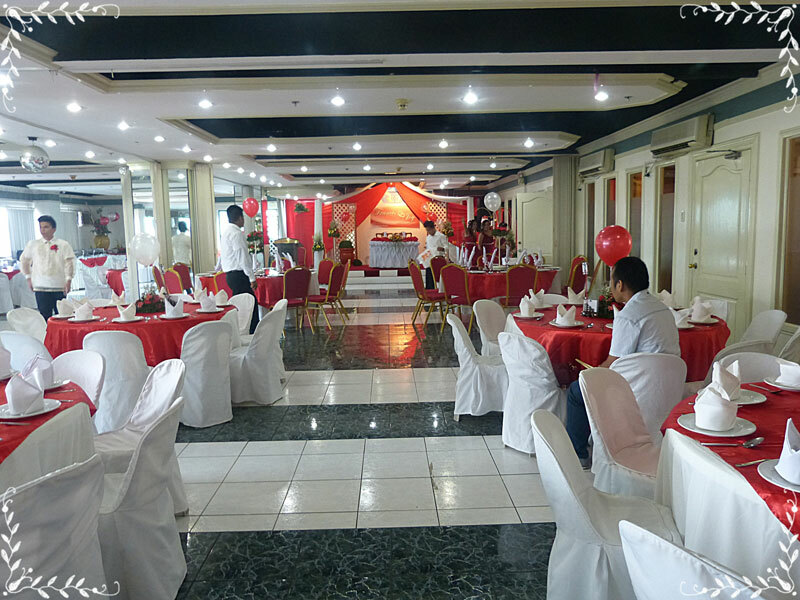 Ask lang ta ko if pila rent sa function room ninyo and naa rami amu catering if pwed ba? Good for 60-70 pax. Hi! How much christening package for march 4? Estimated pax is 80. 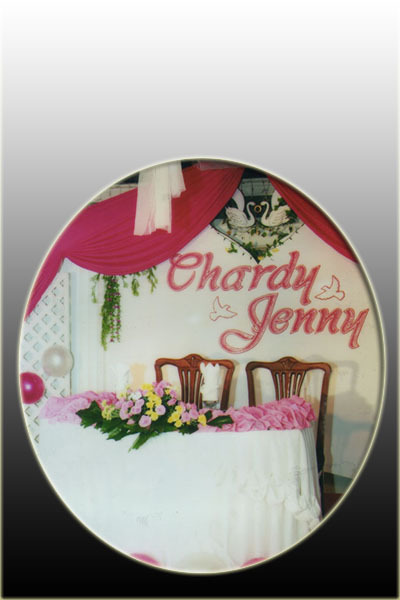 – Our baptismal / christening clients either just avail of our kiddie-party package or our buffet package. – Kiddie Party Package (above). 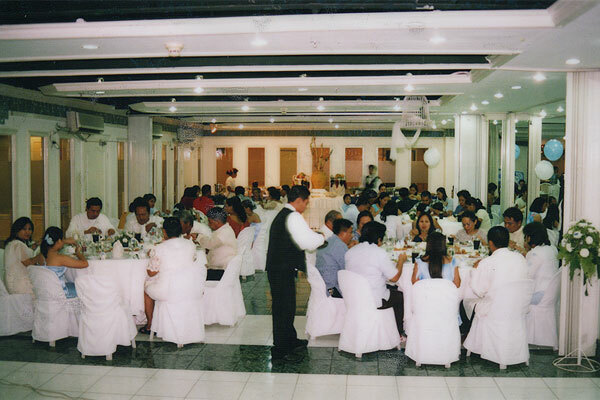 – Buffet package + your baptismal/christening items. Simple Setup (SS) – Please check your email. Hi I would like to ask if how much is the rent for a function room that will cater 30 person? And the event is gonna be whole day, 8-5 pm to be exact? Will you be requiring snacks in addition to the buffet? How much is your function room for 40-50 people ? How much is the venue rental fee for 40 pax? Thanks. How much is the rental of function room for 8 hours seminar and good for 40pax. 1) Will you bring food? 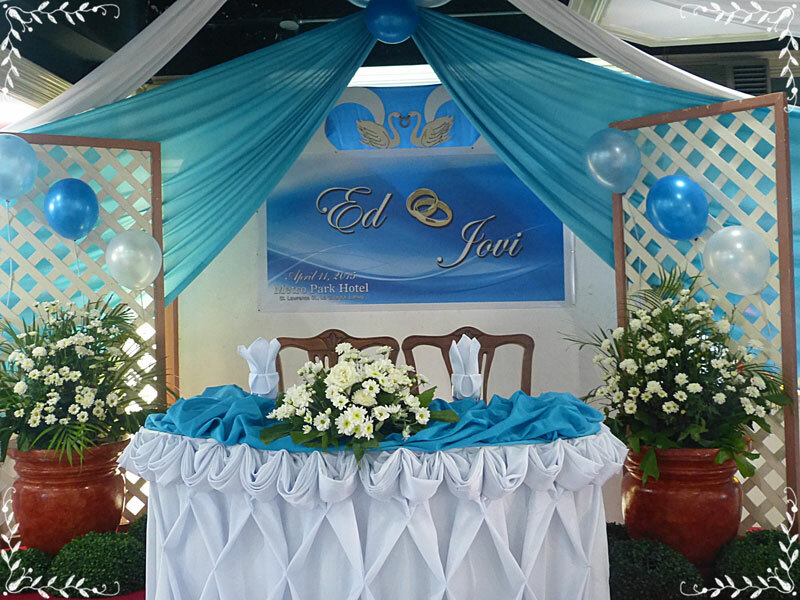 how much is your rental only for wedding venue? hi. how much is the rental cost sa venue only? good for 3hours. thankyou! – Please provide event type. Wedding Reception? – Please also provide date, start time and number of persons/seats. – Please provide event type. Hi, do u have a room/venue for a bridal shower. Maximum of 15 persons. 4-5 hours is the estimated time of the party. Hi! I just want to know if you could send to me a birthday package and menu. Good for 50 pax. I’m planning to hold my moms 70th birthday in your hotel. Appreciate if I send to me asap. Thank you. We also have Simple Setup Buffet Package. Please check your email. Hi, how much would it cost us if we are going to rent the function room (good for 80 pax) only and bring our own caterer? This is for my graduation party and baby dedication. 1. How much will be your wedding package if I will not include the catering and the flowers? 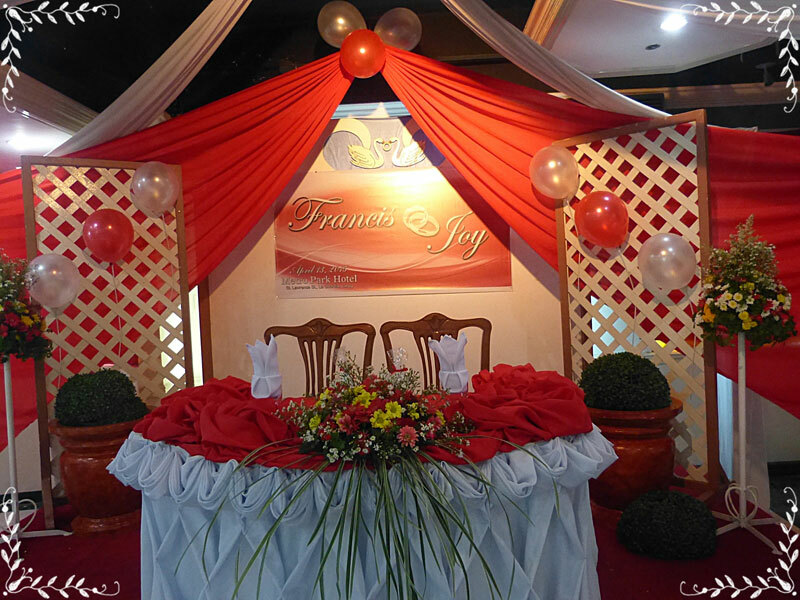 How much would it cost for a venue that can accommodate 60 persons except the catering services you are offering? Good pm..I would like to inquire about christening package? good for 50 persons only.. Function room.. thank you. We sent you two emails. Please check your spam / bulk mail folder. hi.. I would like to inquire about your 150pax wedding package rate. is it okay ra for example we already have flowers for the entourage pwede na xa e convert like himoon nalang xag give aways? or for addtional flowers for the venue decoration? Please consider our buffet package + your own wedding items. You can bring your own decorations as long as they do NOT damage surfaces. For example, you cannot use glue, nails, staples, etc. on our ceilings, floors, walls, tables, chairs, etc. would like to inquire for January 7, 2017 dinner time good for 75pax and how much is the rate for the use of the function room with the food and please provide the menu and other amenities. this is for a birthday party. For a quotation, we need to know what kind of birthday party. Kiddie party? Debut? Just a party? How much per person and how many hours ang use sa function room? 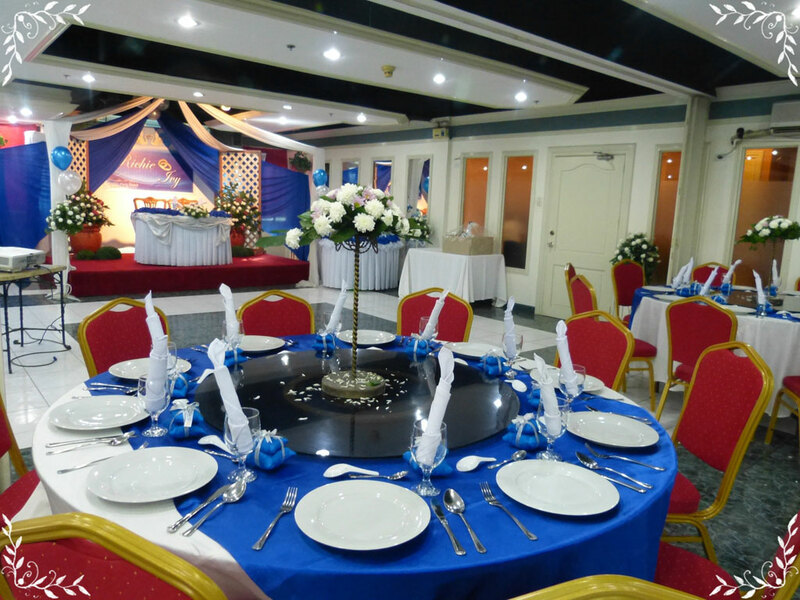 DEC 16 Function Room – Available. For cost, please provide type of occasion. Christmas Party? Wedding Reception? 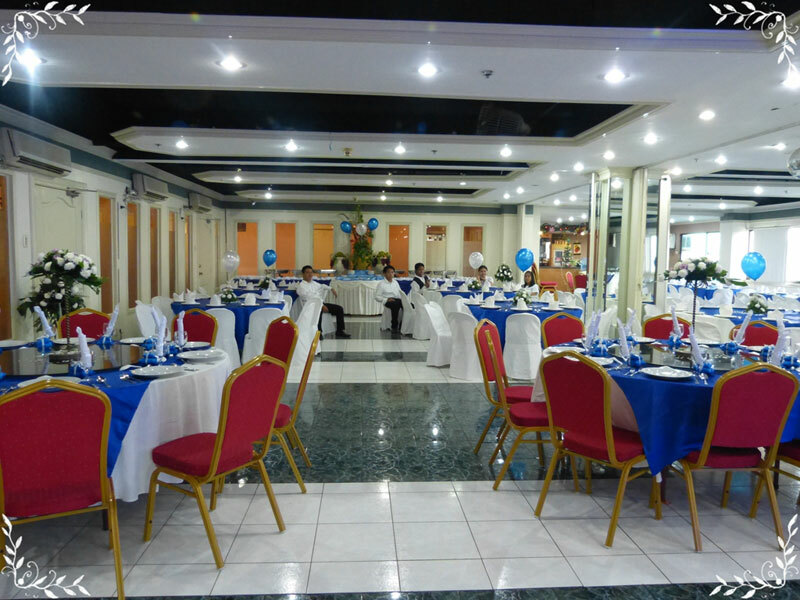 I would like to rent a function room good for 250 persons. We will be needing the room on Dec 30, 2016 @ 7-10 pm. If we order food just a simple dinner for 250, we will get our own catering service from the outside caterer. How much will be the cost for the rent? 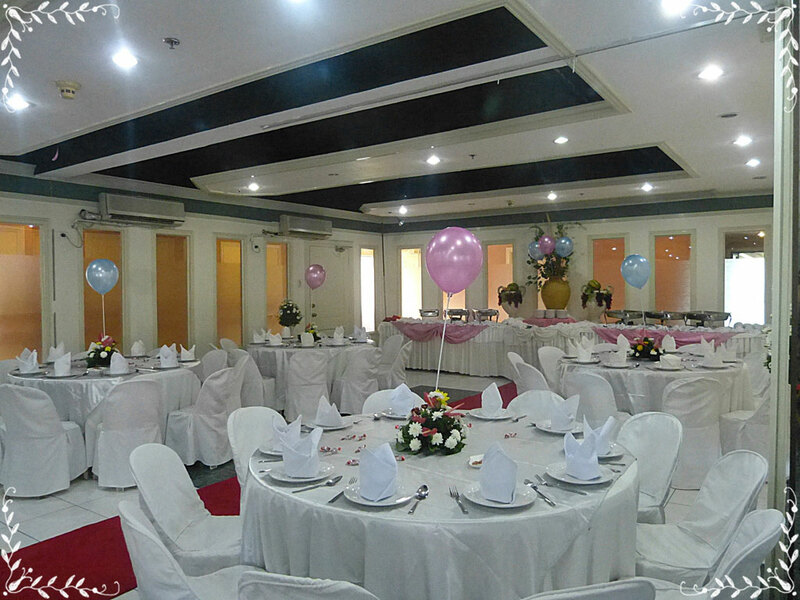 For the option 2, we still rent a function room fir 250 pax on Oct 26, 2016 @ 7-10 pm. But we will get our own catering service from the outside caterer. How much will be the cost for the rent? For option 1, how much the will be the total cost and the reservation fee. For option 2, how much will be the cost & how much will be the reservation fee. I need to know more about yourwedding packages for 75 pax. . 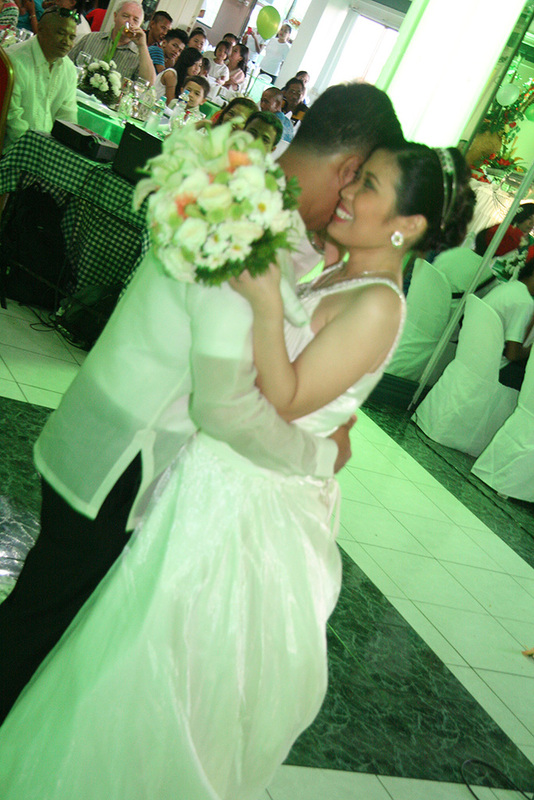 I want to inquire on your wedding package plz..
HI. 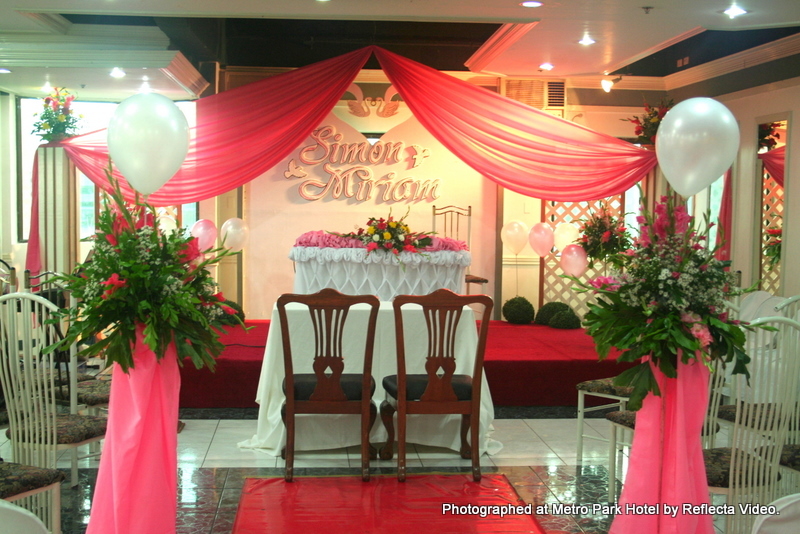 Good evening..May I know if the venue (function room) is still available on September 10 for a wedding? Hi, can you send me the rates of your 3 venues? I already have a caterer i just need a venue. Also please also include what would be the inclusions if we will rent the venue. Thank you! Maam I would like to ask how much is the the rent for your function hall only ? Good morning ma’am, i would like to inquire if how mch the cost of package for christening? good for 50 person? 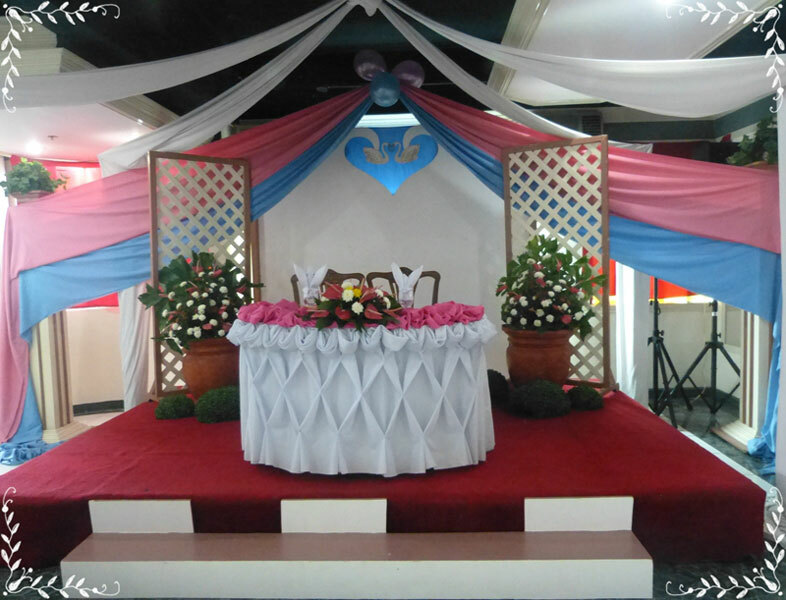 Our baptismal / christening clients either just avail of our kiddie-party package or our buffet package. You can provide your own baptismal-related decorations, so long as they do (not) damage surfaces. Both packages are minimum 50 seats. How much is your function room rate for 15paxs? Inclusive of food . Is your food buffet or or ala carte? Do you have an LCD in the room? Hope to hear from you.. thanx! I am sorry. Minimum 50 persons. 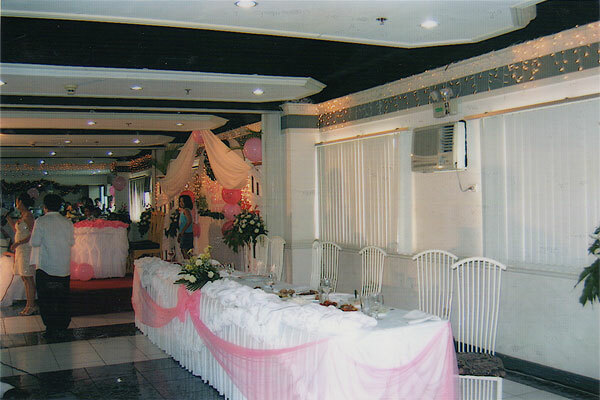 hi, i would like to inquire how much is the rate of your function room good for 50 persons for my daughters baptism? Also, do you provide your own catering service, how much is the package rate and what are the inclusions? Thank you. hi, i would like to inquire if you have a small function room for 15 pax for an afternoon workshop on march 31 between 1-6pm only. i would like to inquire of the rates as well. 2) I am sorry. 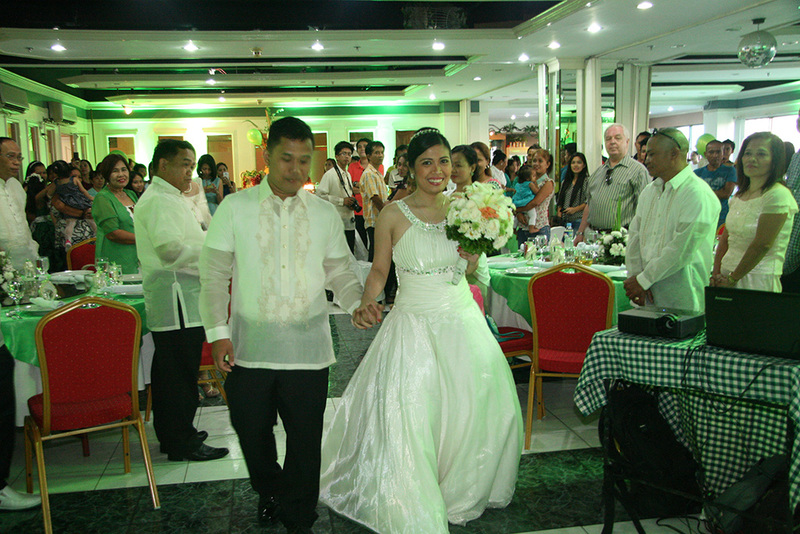 Our wedding packages start at 75 persons. However, our buffet package starts at 50 persons. It can be our buffet package + your own wedding related items. I would like to inquire for the rental fee of the function room. Does it include the sound system and electricity? Can we provide our own caterer? A response would be highly appreciated. hi hm is the rental for the function room good for 150 pax? it’s my son’s first birthday on oct. 28. . .
hi,i want to inquire for the function room can be rented with out any package,for 100persons. Something is wrong with the email address you provided. 550-5.1.1 The email account that you tried to reach does not exist. Hi! Can you email me your menu for wedding package? Thanks! Hi. We are getting married this coming 103115. I wonder if it is possible to avail your wedding package and venue without the buffet. I mean if we could just have our own caterer but everything else that is included in your package could still be available to us like the decors, rooms, video and photo coverage, invitations and souviners. Thanks. I’ll be waiting for your response. 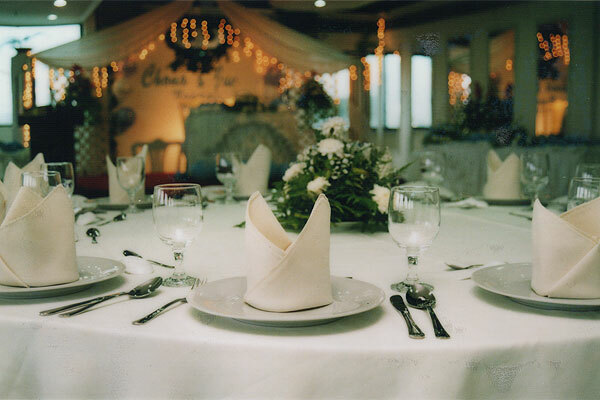 Will your caterer also provide the tables, chairs, plates, glasses, utensils, tablecloths, chair covers? Can I ask your wedding package, and how much you per head? Hi. I just want to inquire. If we don’t have make-up artist, do you have? How much are we going to pay? Also, how about renting the whole entourage? is it excluded to your package? and if you also have, how much? thanks :) I hope you’ll respond to this message. Make-Up Artist – the usual procedure is to go to your favorite parlor or a parlor recommended by family or friends and then make arrangements with them. We do not understand what you mean by “renting the whole entourage” ? 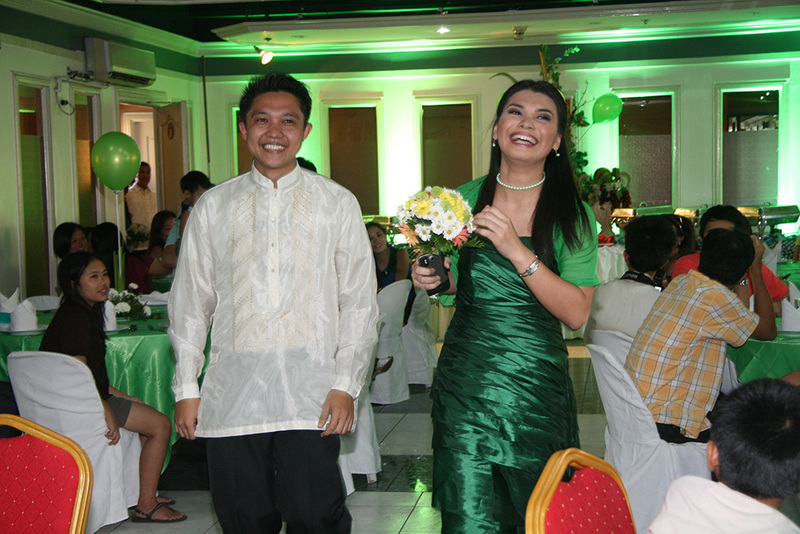 The members of an entourage is usually family or friends of the bride and groom. Sorry. :( What I mean is, dresses for the bride, groom and others. :) Do you have any suggestions as to where we can rent it? as long as it is affordable. But if in case your company has it, can we rent it? or we will just find any bridal rent house.? Thank you. There are many seamstresses. It’s like with the parlor shops. Usually the bride or someone in the bride’s family has a favorite seamstress. Those seamstresses usually have wedding clothes for rent. They’ll also form-fit their rentals for you. I just wanna ask how much the rent of your function room for wedding event with 150 pax to be held this coming september 2015? Please provide the following information so that we can determine if venue-only will be available. Hi im looking for wedding reception venue only for our wedding. Can we rent a function room good for 150 persons? How much is the cost? We need to know the date in order to answer your question. Hi I’m looking for a venue for our wedding reception. I would like to know if your hotel allows function room rent only. We will provide our own caterer. Thank you! hello, we are planning to have our wedding reception in your hotel function room or pool side this year 2015. what are the quotes? Hi, I wanted to inquire if the function room can be rented without other packages and also the maximum capacity as well. Thanks. Do you have a wedding package? May I ask for a quotation for 100 and 150 guest. How much is the rent for the venue only? but if you have package options for kid’s party, can you email me the quotation? Its jst a small party anyway, approxmtly 50 ppl. Thanks! how much is the rent ur function room for 100pax only,we’ll provide our own caterer..
How much is the rent of the venue alone? And max of people I could bring..
Hi. Can we rent the venue alone? If yes, how much? It would be for approximately 120pax. We will provide our own caterer. Thanks. Hi! I want to ask if I could rent the venue alone. Either of your venues will be okay. I’ll be providing the catering service. Thank you. Hi, Im looking for a venue of my wedding can you give me a good package price. I need simple but indeed beautiful. thank you. hi. good day! we are looking for a venue for our acquiantance. good for 150-200 persons can u send me ur qoutation? thank u..
As for June 30, 2014 (Monday), MPH Buffet Package is 260 pesos (cash) per person. 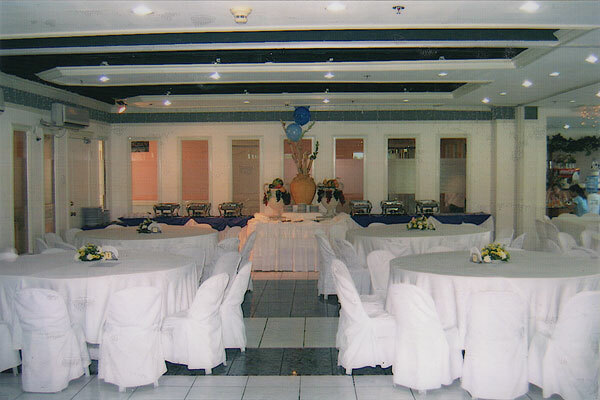 MPH Function Room and Roof Venue can each accommodate up to 200 persons. Hi, can i rent your function room only, about 70-80persons. 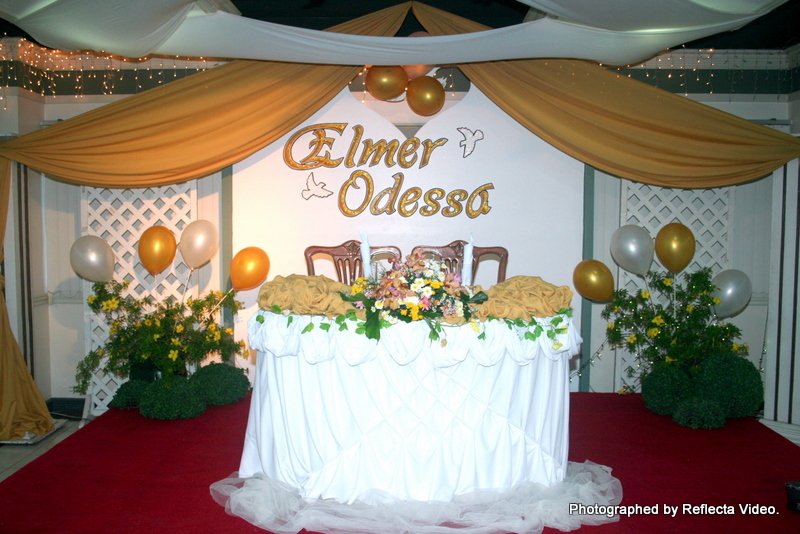 please send me a soft copy of the pictures for the decorations on the venue. Thank you! Do you have a function room good for 350 pax? Thank you. 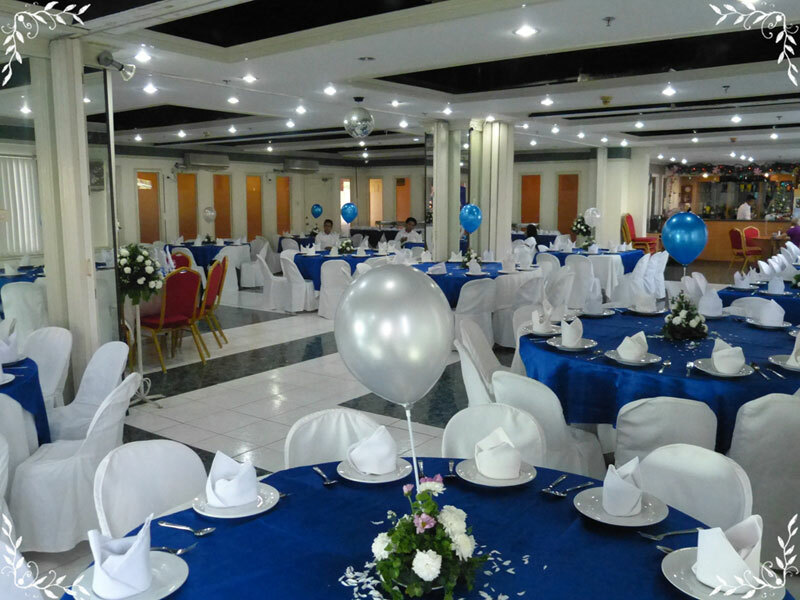 Do you have a function room for 200 to 250 persons? Can we rent the venue alone and provide our own caterer? How much? Thanks. Hi good pm. How much is the rate if i will rent thw venue alone i will be the one to provide for the caterer? Hi, can I rent the function room or rooftop only?I will be the one to provide the caterer. If yes may I know how much and what are the inclusions? 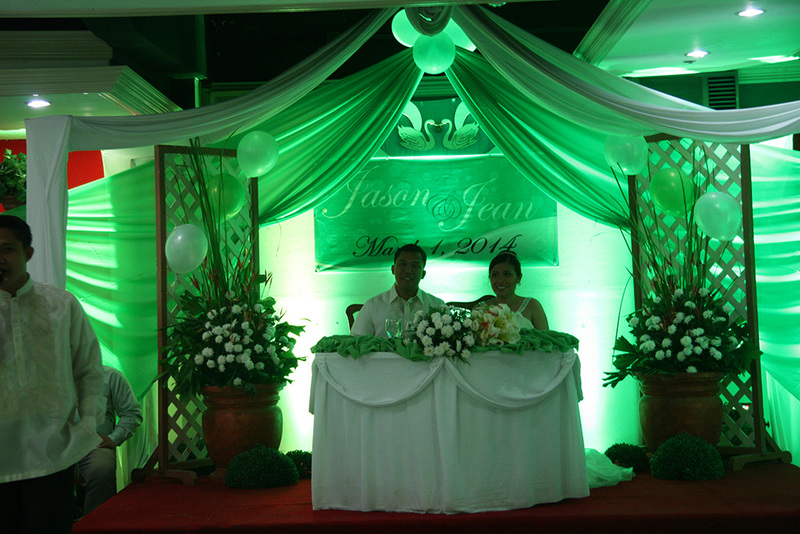 hello, we are planning to have our wedding reception in your hotel this september 2014. what is the payment terms? we haven’t decided yet if pool/rooftop/function room. any suggestion for the best place in that month considering the weather. According to your email provider, your email account does not exist. You may have typed your email address incorrectly. can we rent the venue alone? how much is the rate? Hi good evening. May I know how much is the rent for your room good for 50 persons? If we have our catering from outside, will there be any charges? Thanks. I wanted to have a baptismal for my son, can u send the mode of payment & also, of If I choose in a poolside for the venue…is the place direct in the elevator or should go by stairs, as you know we have senior citizen visitors…kindly advise. 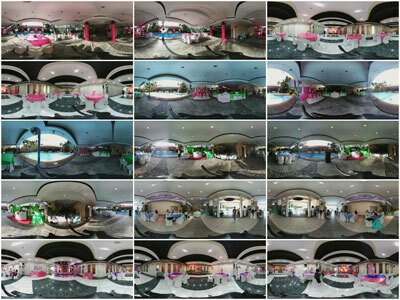 MPH Pool is located on the ground floor. Hi, Would like to check if you could send me kiddie birthday package and menu. I’m planning to hold my kid’s birthday on January 12 2014. Let me know the terms of payment. We have sent terms of payment to your email.